after the V8 Supercars board refused meet a pay-rise request. Warburton will begin his role with APN Outdoor in January 2018, receiving a base salary of $1,000,000 per annum. Warburton has over 16 years' experience in the media sector, also holding the top role at Universal McCann in the early 2000s. He was also a director of Ten's out-of-home media business Eye Corp.
His appointment follows the failed merger between APN and Ooh!Media, which led to the resignation of Herring after 22 years at the business. APN Outdoor chairman Doug Flynn says Warburton's extensive experience leading companies means he is well positioned to lead APN through its next growth phase. “We are excited to have James join as APN Outdoor’s next CEO. He brings to the company extensive executive leadership experience, with a significant understanding of complex media environments including out-of-home media, dealing with key advertisers and media agencies, developing new income streams, and dealing with technological change and digital disruption," he says. In addition to his CEO experience, Warburton also has more than 20 years’ experience in marketing and sales leadership roles at Seven Network, Yahoo! 7, DDB Needham and McCann Erickson. 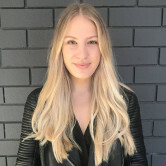 This included eight years as chief sales and digital officer at Seven Group with responsibility for the sales function across Seven Network, Yahoo!7 and Pacific Magazines. “I am extremely excited to be back in the media industry, a sector I am passionate about. APN Outdoor has a strong reputation for innovation in the out-of-home industry, demonstrated by its leadership position in digital roadside billboards in Australia and its leadership in New Zealand via the strategic use of data to enhance the value proposition of out-of-home for advertisers," Warburton says. APN Outdoor has named ex-Ten chief James Warburton as its new CEO, following the departure of veteran boss Richard Herring. 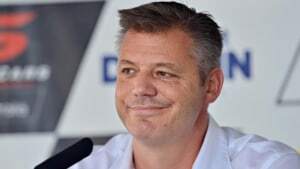 Warburton was most recently CEO of V8 Supercars Australia, announcing his exit yesterday after four years at the company. Reports suggest Warburton resigned after the V8 Supercars board refused meet a pay-rise request.